I treat MAGAts all the time. Professional ethics require we treat everyone. Buck and the rest of his ilk want religion to be a "get out of societal obligations free" card. Not even "societal obligations"…they want religion to be a license to actively discriminate. 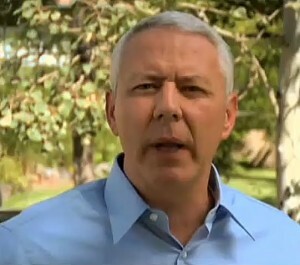 Ken Buck. Showing once again that there is no hate like Christian "love". I would consider not actively discriminating a societal obligation. If Buckles had ever possessed a smidgen of professional ethics, this question wouldn’t have even come into his teeny mind . . .
Ken Buck making the argument that no doctor who was smart enough to have graduated from medical school should be forced to treat someone as stupid as Ken Buck. I sincerely hope Ken Buck is never denied medical treatment by a devout Catholic doctor who believes divorce is a sin. Im waiting to see how loudly they howl the very first time someone refuses to treat a Xtian. Nah, that's exactly what they want, to be (briefly) treated they way they treat others, then, they have an excuse to "fight back". This display of bigotry and his many other transgressions need to be remembered when Mr. Buck runs for the U.S. Senate in 2022. He ran for state Republican chair for one purpose, and one only, to build a statewide organization for himself. He is focused on the 2022 election. In the meantime, the Democrats need to thrash the Republicans in 2020 which may result in ending his political ambitions. You need to scroll down a bit to see him. Quote from Vera Ortegon, R.N.C. committeewoman for Colorado: "if you know any Never-Trumpers, send them to me." What for? A public flogging? Just keep doubling down on Trump, Vera, Patrick (Neville) and Ken. See what that got you this past November? Let me save them the trouble of responding. The problem wasn’t Trump. The problem was the Colorado GOP was not sufficiently pro-Trump. They need to double down on Trumpism in Colorado. That plus they should have nominated Cynthia Coffman for Governor. Stay the Course Chairman Ken. They'll thank you! !